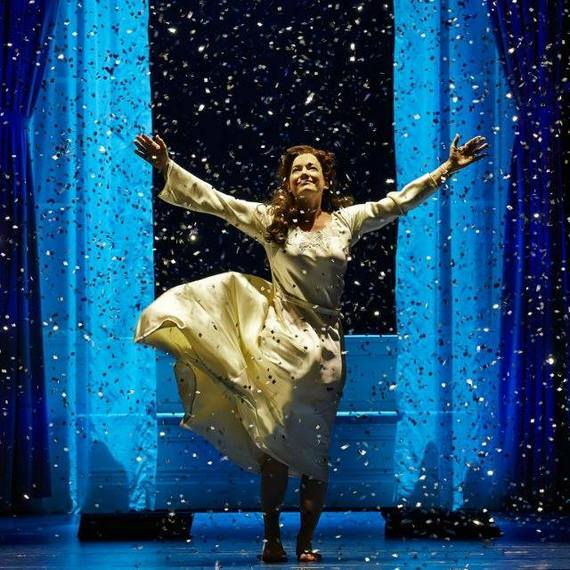 Back on Broadway from her long run in Mary Poppins in 2011, Laura Michelle Kelly shines in Finding Neverland. Her performance is full of poise and pure grace. There is nothing she cannot do. As she is wrapped in a glittering tornado, her voice soars at the Lunt-Fontanne Theatre. Although Finding Neverland falls short in being anything more than a tourist trap musical, Ms. Kelly's performance is a stand out. Daddy Long Legs (currently running at the Davenport Theatre) holds the American theater's newest secret weapon, Megan McGinnis. McGinnis plays Jerusha Abbott, "the oldest orphan in the John Grier Home" whose unidentified benefactor sends her to college. With a score by Paul Gordon (Jane Eyre), Megan's rich soprano voice brings the musical to life. Her presence on stage never dims for a second. Luckily for us, her performance has been preserved on a cast album, which will be a fan favorite for years to come. Deaf actors are rarely represented on Broadway. Luckily for us, we have the pleasure of celebrating some talented deaf actors this season. Brilliantly directed by Michael Arden, Deaf West Theatre's Spring Awakening features fresh performances by deaf actors Sandra Mae Frank (Wendla Bergman) and Daniel N. Durant (Moritz Stiefel). Ms. Frank's emotional vulnerability on stage makes for a truthful captivating portrayal of Wendla. Sandra Mae Frank's Wendla has a meek curiosity for the unexplained question of where babies come from. Wendla's innocence is heartbrokenly stolen when she unknowingly teaches herself the lesson. Sandra Mae Frank is known to be a confident woman who is not afraid to speak her mind. Similarly to herself, Sandra Mae Frank's Wendla expressively cries for answers with a healthy curiosity for love and unknown pleasures. Daniel N. Durant's Moritz is haunted by not understanding sexuality and familial pressure surrounding education making it difficult in finding self-worth. Durant's portrayal is easily relatable with Moritz's childish bewilderment of the unexplained. 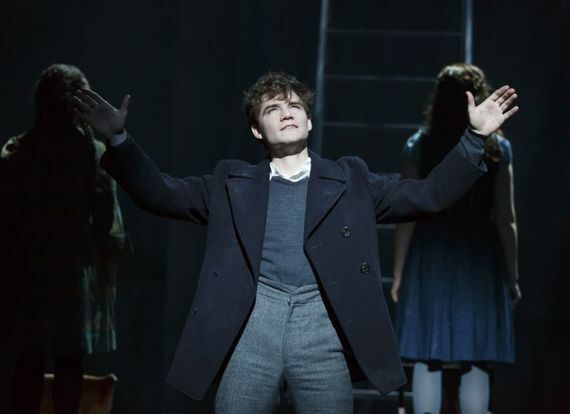 Beautifully performed, Spring Awakening will continue playing on Broadway through January 24. Robert Sella played three roles in the new revival of Sylvia on Broadway. 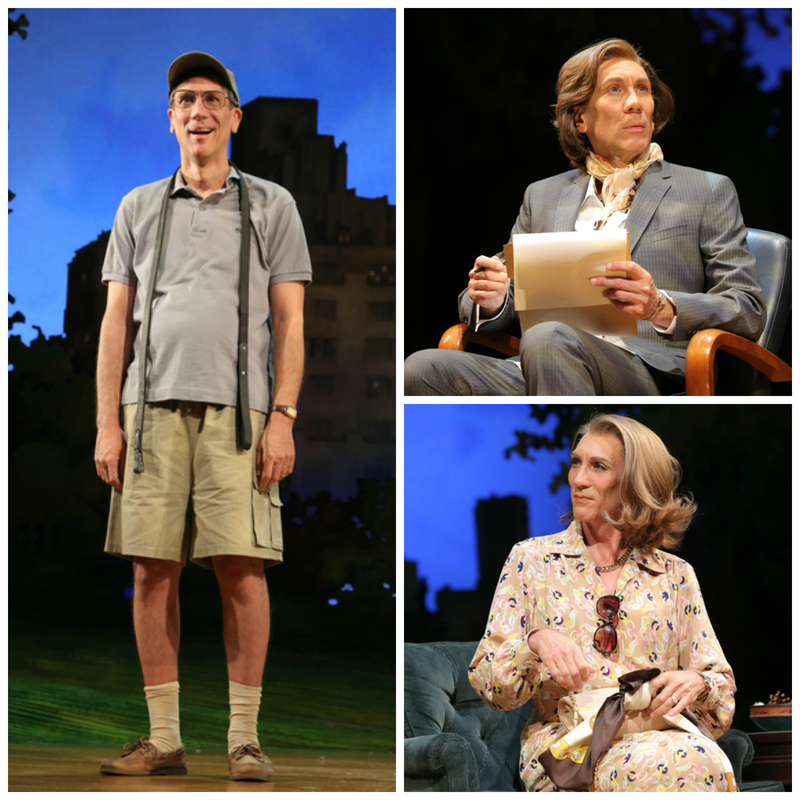 Whether he's on stage as his pet dog's wingman, a snooty upper west side neighbor, or a gender fluid marriage counselor, Mr. Sella got the laughs! Smartly elongating moments and discovering new character nuances, Robert Sella is a scene-stealer. I can't leave Hamilton off this list or I'll never hear the end of it from composer Lin-Manuel Miranda's Twitterico army. Since Lin-Manuel Miranda (creator and star of the revolutionary musical) has already been mentioned on every top ten list from every major news outlet, I wanted to highlight the women that make Hamilton possible. Angelica, Eliza, and Peggy--the Destiny's Child of Broadway! Actress Jasmine Cephas-Jones not only plays the character of Peggy Schuyler but she doubles as Alexander Hamilton's mistress, Maria Reynolds in act two. Ms. Cephas-Jones' compellingly power vocals in "Say No To This" are similar to those heard on today's top 40 radio hits. 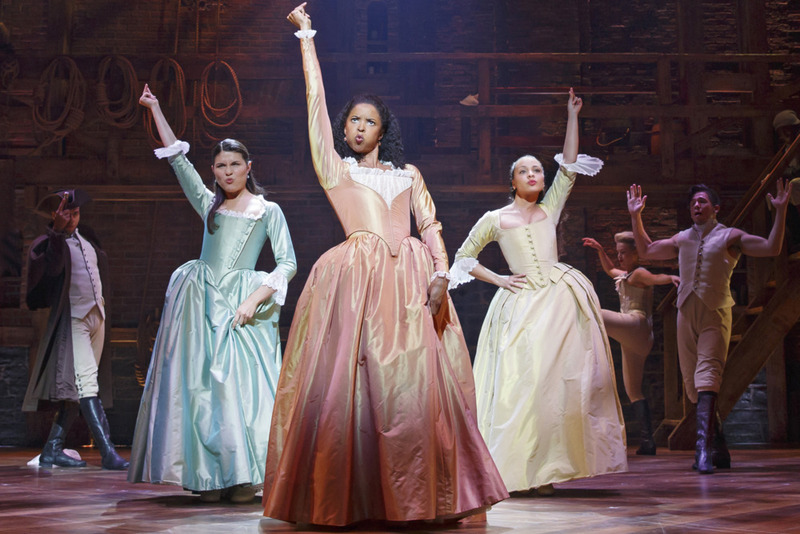 As for actresses Phillipa Soo and Renée Elise Goldsberry, who play Eliza & Angelica Schuyler respectively, the ladies take the stage with no apology. Every song featuring these ladies on the chart-topping Hamilton Cast Recording (not a soundtrack) have made it to my "Top Played" playlist on iTunes right next to Beyoncé & Sara Bareilles. WORK! After you see On Your Feet!, you know a star is born! On Your Feet! marks Ana Villafañe's Broadway debut but her performance is of a true Broadway veteran. 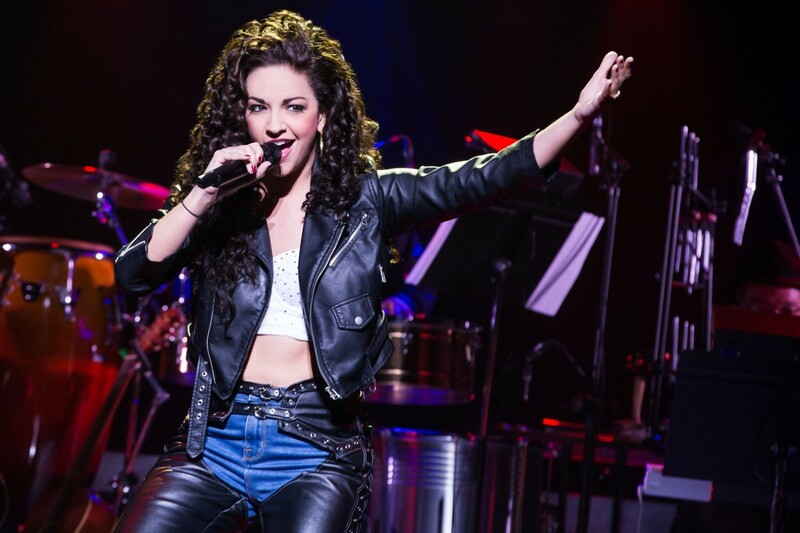 Not only does she resemble a young Gloria Estefan, she commands the stage like the Queen of Latin Pop herself. Villafañe's pop star performance at the Marquee Theatre eight times a week can power a sold-out house at Madison Square Garden. If only Café Bustelo sold Cuban espresso at the theater would you be able to match Ana's onstage energy! I also hear she's a soprano compared to Ms. Estefan's mezzo range; I'd love to hear her sing some soprano tunes on a Monday night. Lisa Howard has been a Broadway favorite for years having been featured in The 25th Annual Putnam County Spelling Bee, South Pacific, 9 to 5, and Priscilla, Queen of The Desert. It wasn't until last seasons musical comedy It Shoulda Been You that Lisa Howard got the stage role her talents deserve. Although she was overlooked for a Tony Award nomination last spring, her performance at the Tonys stole the show. 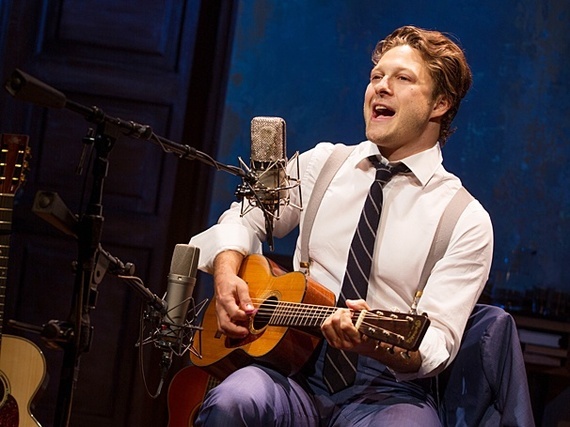 In his one-man show, The Lion, songwriter Benjamin Scheuer tells his story. A painful relationship with a father and a the fight for a chance of life are the basis of his musical, all told with six guitars. Leaving every audience member in tears, The Lion roars as a redefining musical. Currently on a national tour, The Lion is rumored to release a highly anticipated recording album early this year. Scheuer's music is a perfect balance with his heartbreaking story. It would be, without a doubt, an Emmy Award winning hit if HBO or Netflix were to preserve it as a television special. From the moment that she graces the stage, Kelli O'Hara is pure gold. Rodgers & Hammerstein's classic story could not have been retold at Lincoln Center without the charm of Kelli O'Hara. O'Hara plays schoolteacher Anna Leonowens as she arrives in Siam to instruct the King's children. 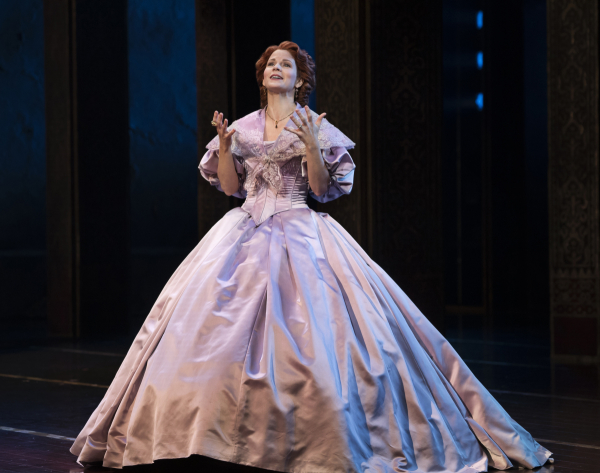 In a role that garnered her a much-awaited Tony Award for Best Leading Actress in A Musical after four previous nominations, Kelli O'Hara is not to be missed. Finally! 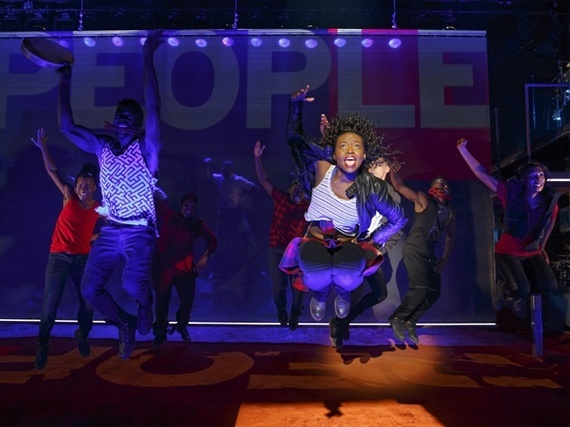 Cynthia Erivo is ours on Broadway! 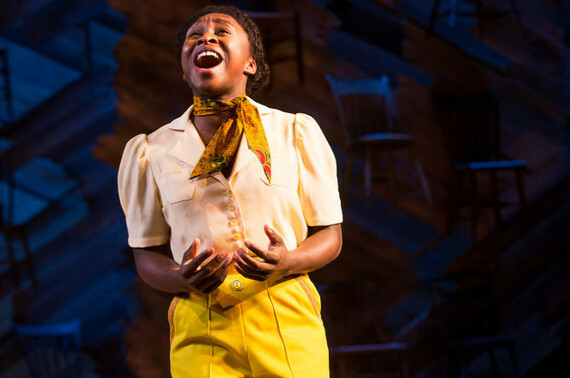 Ms. Erivo is a West End favorite that has made the transfer as Celie in the critically acclaimed revival of The Color Purple. Ms. Erivo's Celie grows from a meek and abused 8-year-old to a powerful, self-loving, beautiful woman. As Celie's anticipated "I'm Here" comes near the end of act two, the audience turns silent. "I'm gonna sing out..." she sings, turning the theater into a stadium of believers. She boldly echoes "I'm beautiful, and I'm here"! Luckily, Erivo is here to stay. 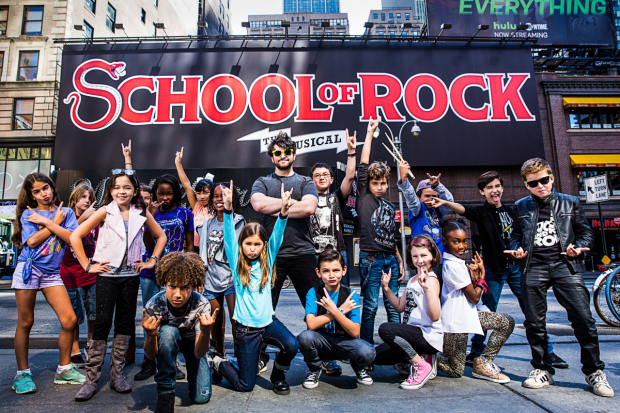 Andrew Lloyd Webber's new musical, School of Rock, blows the roof off the Winter Garden Theatre. With superb musical direction by Darren Ledbetter, the onstage band full of quadruple-threat child actors replicates the atmosphere of a sold-out Led Zepplin concert. Note to the Tony Award nomination committee: Mick Popp's sound design proves the significance of keeping the recently eliminated 'Best Sound Design of a Musical' Tony Award on the ballot. These kids are unstoppable. 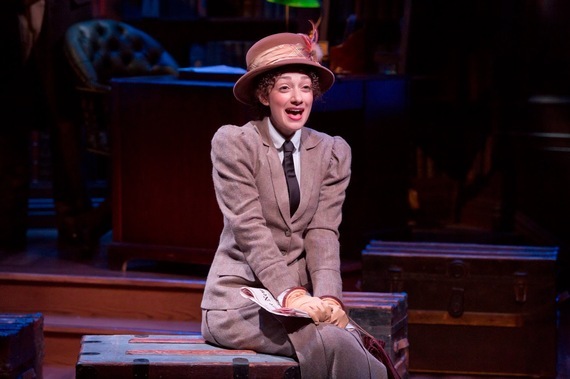 The Off-Broadway production of the Broadway-bound musical, Invisible Thread, was riveting. For theatergoers looking for a groundbreaking contemporary new musical that feels fresh, turn to Invisible Thread. Boldly directed by Diane Paulus (this season's Waitress, Pippin, and Hair) Invisible Thread featured an ensemble of outstanding actors that together transformed the intimate Tony Kiser Theatre into the dry hills of Uganda. The musical is based on the true story of creator Griffin Matthews' humanitarian trips to Uganda, and his work to fund his Uganda Project. Written by Griffin Matthews & Matt Gould, the score blends African beats with gospel and pop electric rhythms. For those chasing a ticket to Hamilton, turn to Invisible Thread and have your mind blown. 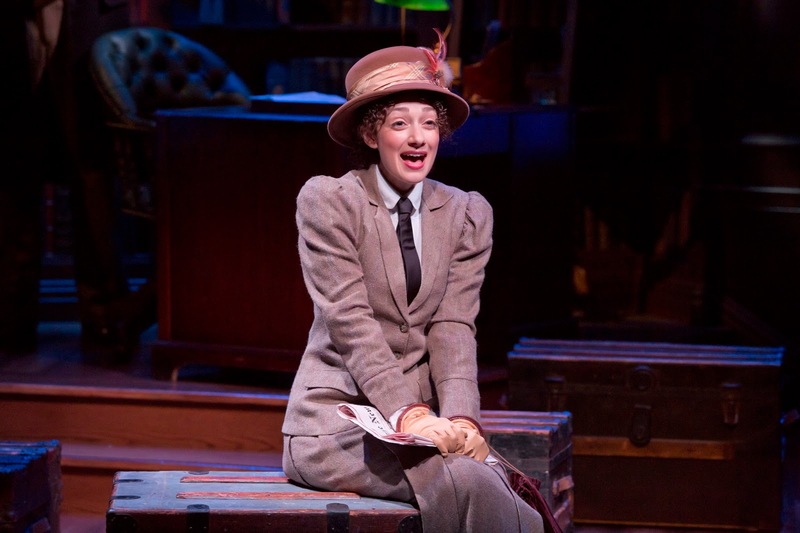 Hopefully coming to Broadway sooner rather than later, Invisible Thread is a cultural phenomena.